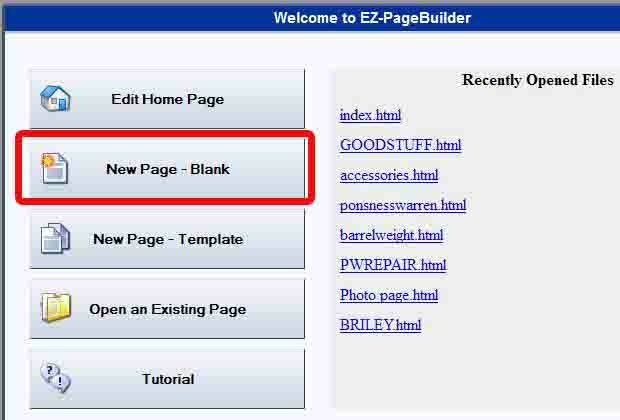 For this tutorial we expect the user to understand the basics of EZ-PageBuilder. 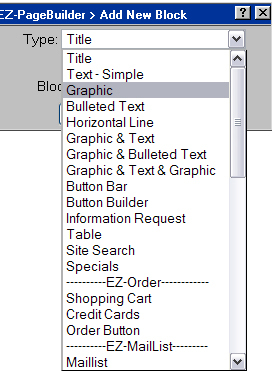 Add a graphic block inside the layout manager and add your desired image. 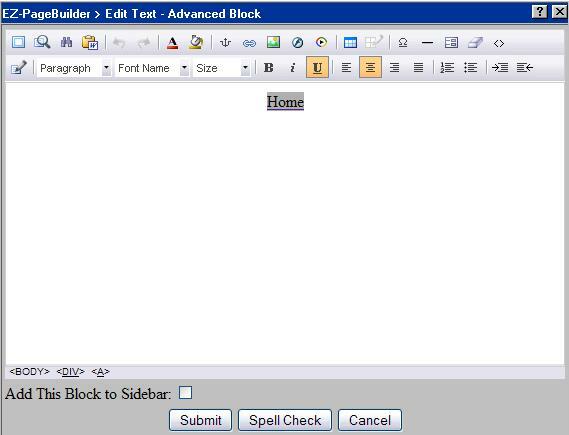 Add a text block inside the layout manager. (A title block will work as well). In the text block, click the link icon and browse to the page you want it linked to. 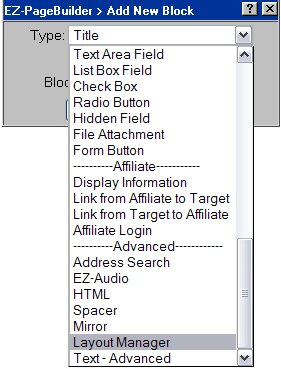 (For example I linked "home" to index.html). Save your file. (For example I saved this as header.html). That completes the mirror block page. Now we need to add the mirror block to every page that it should appear on. Open the page you want the mirror block to appear on. Click the submit button. 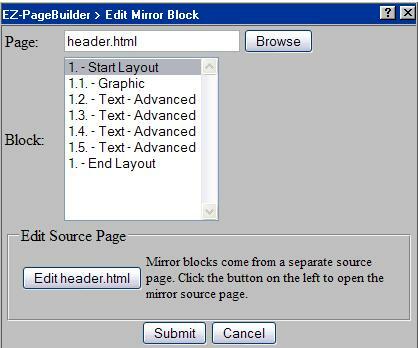 The mirror block should show up on the page. Remember to save the page.